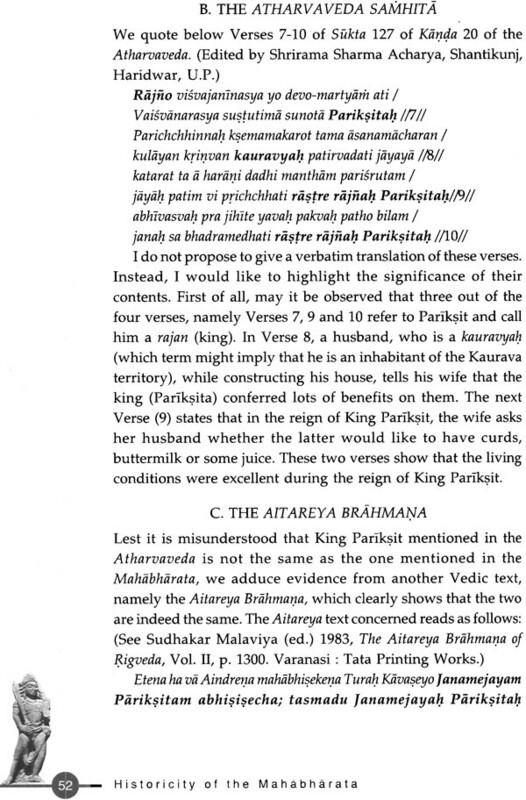 To the faithful, everyday mentioned in the Mahabharata is true to the very letter, whereas the skeptic holds that h e epic is nothing more than a mere figment of imagination. How , then, can one ascertain the truth? It is here that archaeology comes to our rescue. IN 1951-52, Professor B.B. 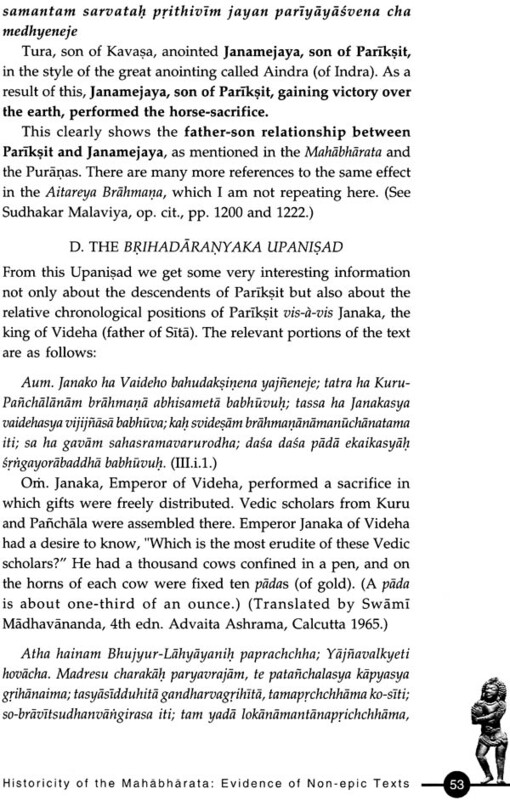 Lal excavated the key-site of Hastinapura, situated on the bank of the Ganga, in Merut district o f Uttar Pradesh. Over here he encountered in the lower levels a settlement which was distinguished by a characteristic pottery called the painted Grey Ware, assignable to circa 1100-800 BCE. 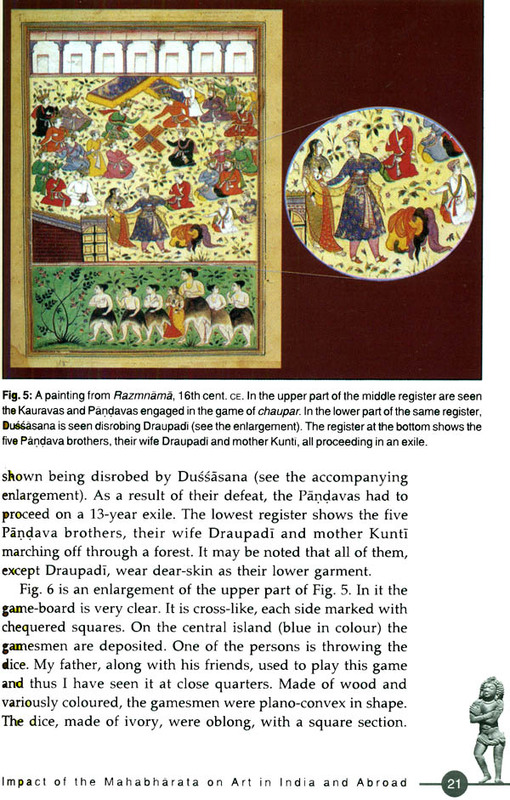 This PGW Culture has since been discovered at all the Mahabharata sites a feature which binds them together. The shifting of the capital from Hastinapura to Kausambi is, in turn, supported by the fact that in the lowest levels of Kausambi has been encountered the same kind of degenerated Painted Grey Ware as had begun to appear at Hastinapura prior to its destruction by the flood. 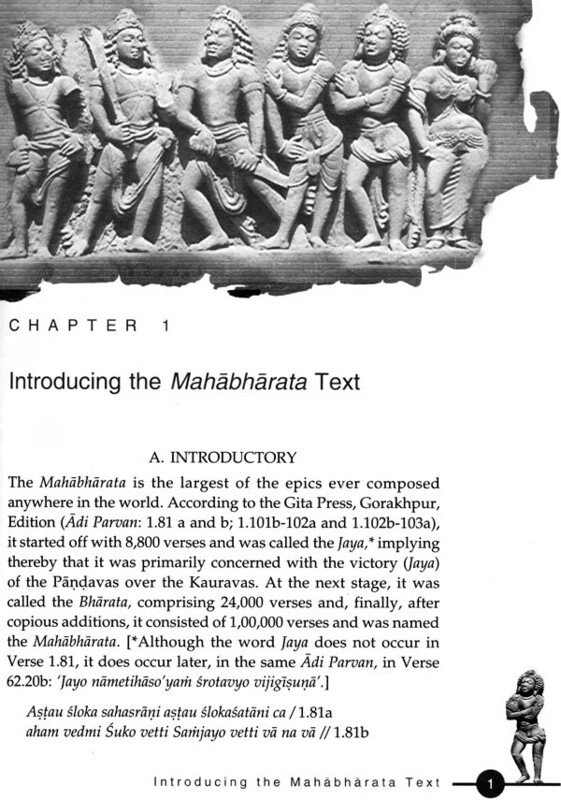 Thus, the combined evidence of archaeology and literature duly establishes that the Mahabharata is not a figment of imagination but has a basis in historical reality. At the same time, it is on record that the epic underwent eleven time inflation-from 8,800 to 1,00,000 verses- and hence it is difficult to separate the wheat from the chaff. But let not the precious wheat be thrown away with the chaff. An archaeologist of international repute, Professor B.B. al was the Director General of the Archaeological Survey of India. His excavation at Kalibangan In Rajasthan has brought to light a prosperous city of the Harappan Civilization. 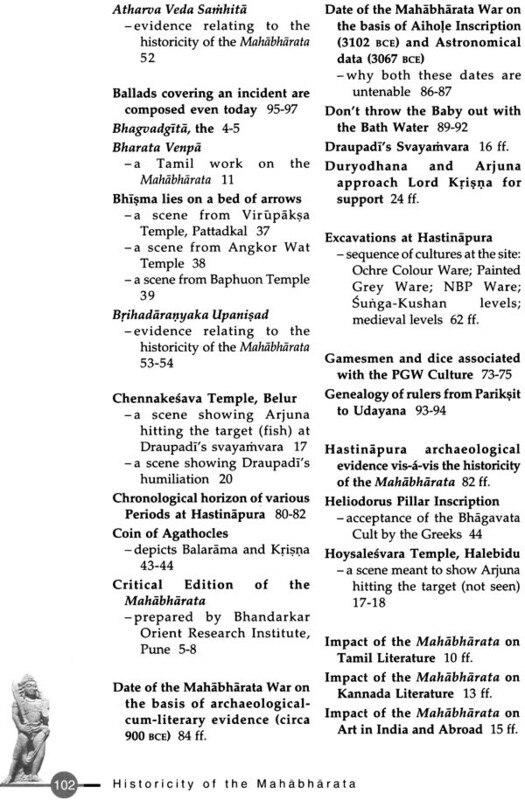 The excavations at Hastinapura, Indraprastha, etc. 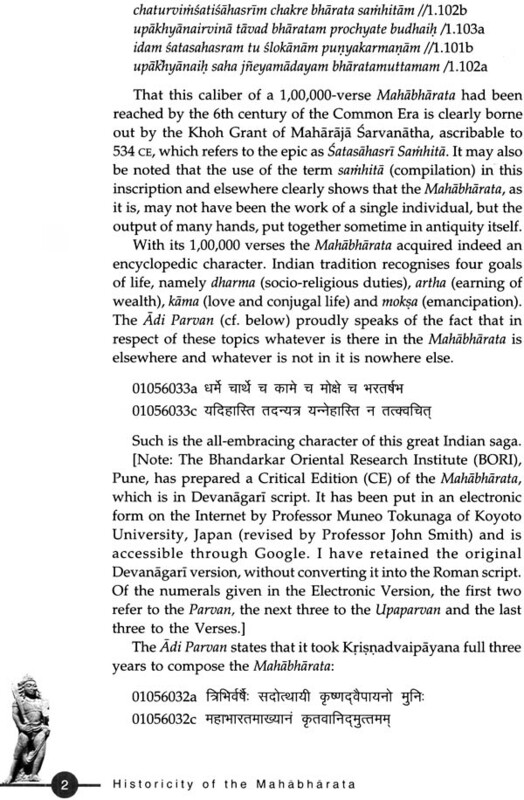 have established that there was a kernel of truth in the Mahabhrata, thought the epic is full of interpolations. 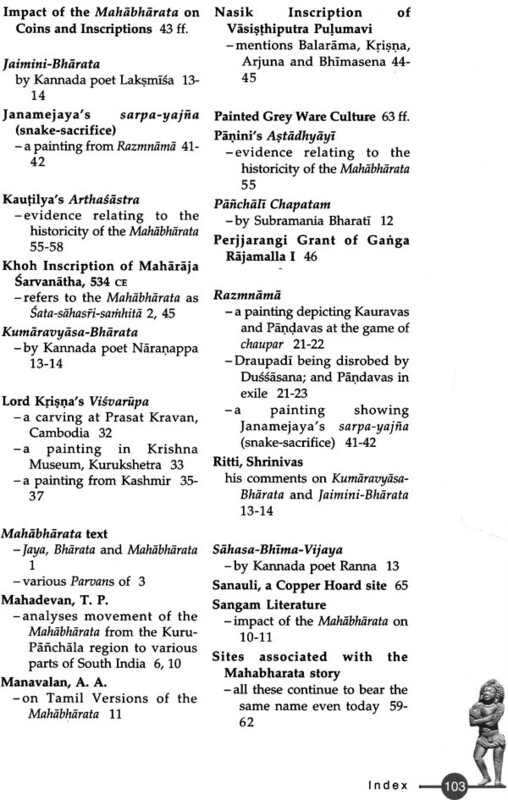 The excavations at Ayodhya, Srinngaverapura, etc. have shown that the Ramayana too has a basis in his history. In 1961, he conducted excavations in Egypt, which threw valuable light on Egyptian prehistory. He has published over 150 seminal research papers, variously in India, USA, UK, France, Italy, Egypt, Japan, etc. Amongst his recent books are: The Earliest Civilization of South Asia (1997); India 1947-97: New Light on the Indus Civilization (1998); The Sarasvati Flows On: the Continuity of India Culture (2002); The Homeland of the Aryans: Evidence of Rigvedic Flora and Fauna & Archaeology (2005); Rama: His Historicity, Mandir and Setu (2008); How Deep are the Roots of Indian Civilization? Archaeology answers (2009) and Piecing Together: Memoirs of an Archaeologist (2011). 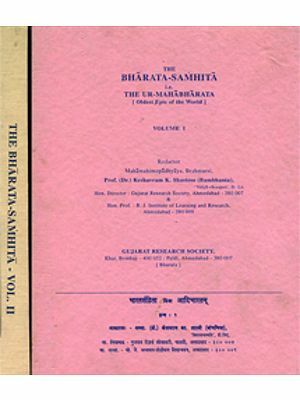 On April 26-27,2012, there was an International Conference in Delhi on ‘The Mahabharata: Its Historicity, Antiquity, Evolution and Impact on civilization’. It was organized by Ms. Neera Misra, Chairperson, Draupadi Trust. At it I gave a presentation on ‘Historicity of the Mahabharata: What has Archaeology to say in the Matter?’ The presentation appears to have been greatly appreciated by fellow conferees as well as by the audience who agreed with the archaeological evidence that I presented, namely that the epic did have a basis in history and was not the figment of imagination as some people are prone to believe. Further, that the even its likely to have taken place sometime around 900 BCE. On the evening of April 27, I invited some senior national and international participants to a dinner at my residence. After the dinner was over, there was a further discussion only presentation during which I answerer many a question. 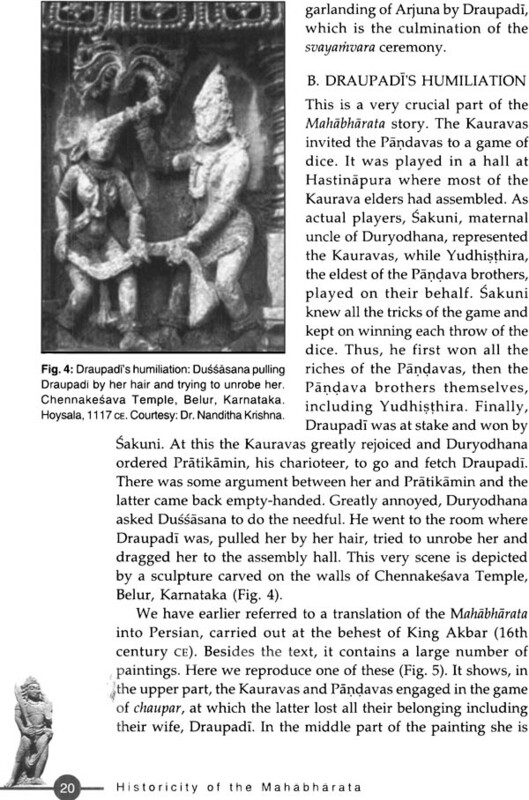 Some of the colleagues were aware of the fact that I had published in 1954-55 a full report on my excavations at Hastinapura and a few papers subsequently. All of them, however, suggested that it would benefit the academic community as well as the general reader if I publish a handy book on the subject. The present booklet is in response to this suggestion. May it be hoped that it fulfils the need.